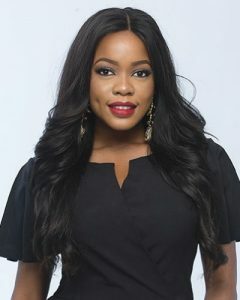 Arese Ugwu is the author of the bestselling and ground-breaking The Smart Money Woman, the financial-chick-lit novel that has taken Africa by storm. She is also the founder of Smart Money Africa, a personal finance platform for the African millennial. She is helping young Africans discover their power to build their future and make smarter money decisions through Smart Money Africa. In 2016, she won Rémy Martin’s Pacesetter award and was nominated for The Future Awards Africa Prize for Education. She serves on the boards of House of Tara International Ltd and The Nigeria Higher Education Foundation as a non-executive director and is an associate member of Women in Management Business & Public Service (WIMBIZ). Born on March 19, 1985, in Nigeria, Arese holds an MSc in Economic Development from University College London (UCL) and a BSc in Business and Management from Aston Business School, Birmingham. She is also an alumna of the of the Lagos Business School, INSEAD Abu Dhabi and The London School of Business executive education programs. She is married and has one daughter, Zikora. *She was born on March 19, 1985, in Nigeria. *She is the founder of www.smartmoneyafrica.org. *She was a finalist and nominee for the Access Bank W Award for Young Professional of the year 2015. *Her hobbies include world travel, reading, playing tennis and squash.